Treat yourself to complete tranquility as you experience the ultimate in relaxation. 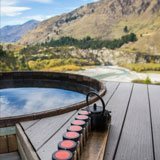 Tucked away from the hustle of central Queenstown, your boutique day spa experience begins with an hour in a one of our cedar hot tubs overlooking the Shotover Canyon while you enjoy a complimentary selection of local refreshments and a snack. 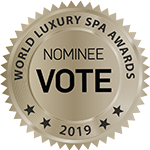 You are then escorted to your spa treatment room where you will indulge in complete relaxation, restoring an overall sense of calm and well being. With your choice of either, a 60 minute massage or 120 minute experience which includes a massage and facial, our professional team will tailor a treatment to suit your individual needs. To conclude, you are invited to our lounge to enjoy a selection of herbal teas and raw pressed refreshments. This is the ultimate way to spoil that special person in your life, and treat yourself at the same time. If you are looking for a massage in Queenstown then look no further. View our packages and book online now! It really is the best massage in Queenstown. share your experience. get featured. Treat yourself to a massage at Onsen Hot Pools and experience the ultimate in relaxation. The Ultimate Relaxation Experience – 120 Minutes Massage/Facial Includes a 1 Hour Hot Pool with a Tandeki Pack, 1 Hour Massage & 1 Hour Facial followed by RAW Pressed Refreshments. no place quite like it.